Staff and families often eat with residents, and everyone agrees that one of the best assets at Traces of Tiger is our head cook, Virgie Runion. With 20 years of experience, Virgie leads us in providing residents with 3 meals and 2 snacks every day. 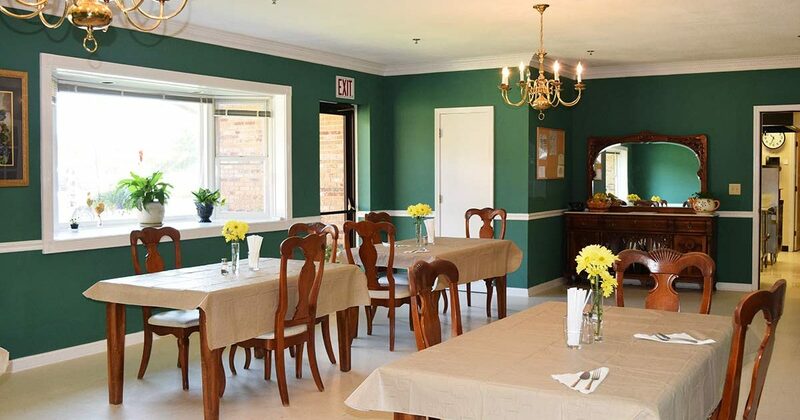 With a special menu for Sunday lunches, and festive holiday meals, residents enjoy mealtime for both the community and the food. All meals incorporate local, farm-to-table ingredients whenever possible, and we have options sure to please even the pickiest of eaters. Traces of Tiger can cater to residents’ individual dietary restrictions and food allergies.